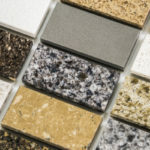 You don’t want to make the following common granite countertop mistakes when buying, installing or cleaning your granite. With proper installation and care your granite countertops make a valuable investment that’ll last many years. Top mounted sinks provide a flurry of cleanliness issues, as it’s very difficult to keep dirt, debris and bacteria from finding its way beneath the ring around the sink. 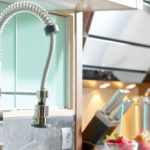 You’ll thank yourself a million times over if you install an undermounted sink with new countertops. Granite typically comes in two different widths, a ¾” slab or a 1 ¼” slab. If you’re looking for something thicker you’ll likely end up with two slabs glued together, which you most certainly don’t want. Color is important but quality is far more important. Some of the most rare or flamboyant color options are the easiest to stain because they are more porous. 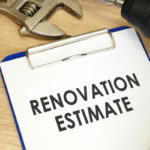 As a result, you are trapped with higher maintenance costs over time. Darker granite is going to reduce the appearance of stains and spills, whilst costing less in maintenance. Everyone wants to pay less for the same quality granite countertops but that doesn’t stop people from buying them at retail cost. The thing is, you don’t have to fall pray to the extra expense that creates. You can buy wholesale countertops of the same quality for a lot less money. Anyone can make a measuring mistake and as a result you could buy too much or too little granite, or slabs with the wrong thickness. All of these mistakes will end up costing you money and slowing down progress. Make sure to check and then double check all measurements before placing your order. Make sure the color you pick is going to match with the rest of your kitchen before it’s installed. Otherwise you end up with granite that doesn’t match the rest of your kitchen. Decide upon the type edging you want before countertops are installed. Once the countertops are installed there’s no way to change the edging without removing and reinstalling countertop slabs. Make sure the person installing the countertops has ample experience with this type of work. The key is to prevent a rookie job from interfering with the overall appearance and longevity of your countertops. Once your countertops are installed and looking sharp there are a number of things you want to avoid in order to keep them looking great. Granite is porous and will absorb stains if it’s not properly sealed and treated as needed. Most granite requires a new coat of sealant every so often, typically around every 2-years. While many sealants claim they last a lifetime that doesn’t take into account all of the daily wear and tear your countertops take on. For instance, exposure to acidic juices such as limes or lemons will break down even the toughest sealant. Glass cleaners or solvent-based cleaners should be avoided at all costs when it comes to cleaning your granite. Harsh chemicals will rapidly strip away the sealant and cause damage to surfaces. 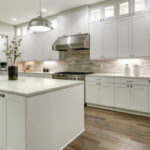 You should also avoid any cleaners that contain lemon juice or vinegar, as the acidity will strip away sealant and make countertops appear dull. Glass cleaners are specially designed with microwaxes intended to fill in minor cracks in windows and mirrors. Since your granite doesn’t need this, microwaxes build up over time and create a nasty residue on countertop surfaces. For everyday cleaning, use mild dish soap and a warm damp rag. Use special granite cleaner periodically as needed. -Never cut directly on surfaces, always use a cutting board. It may not appear damaged but over time small nicks in the surface add up and create an entry point for water and stains. -Use potholders or something else as a buffer between hot pans, plates, etc. and your countertops. Extreme heat can damage granite. -Do not leave oils out on the counter as they can leak out and stain surfaces over time. -Clean up spills as soon as they take place to prevent the absorption of stains. 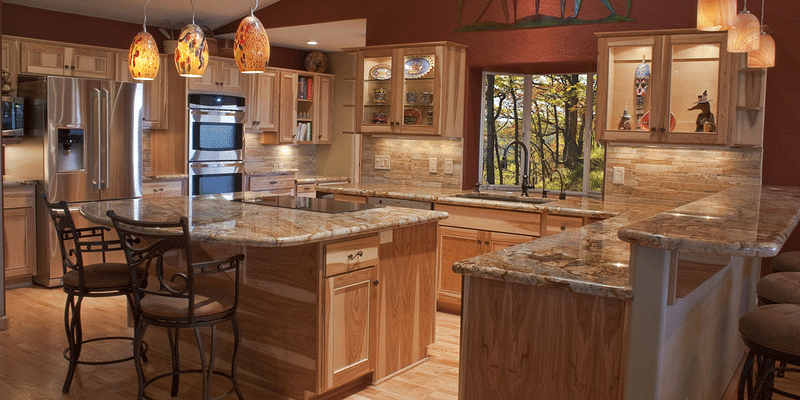 Don’t forget to shop Tops Kitchen Cabinet for leading granite countertops at wholesale prices our customers love!